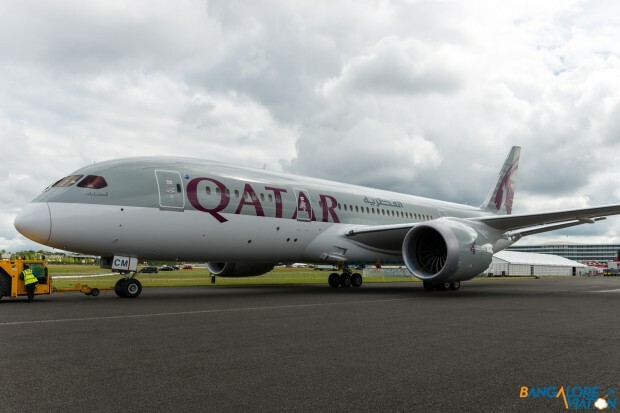 Picking up where we left off last week, we continue on our tour of the Qatar Airways Boeing 787-8 DreamLiner. 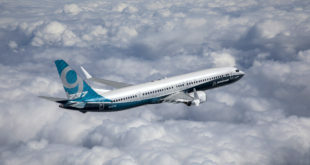 The aircraft I got up close with was A7-BCM, a brand new Dreamliner built in February of this year at Boeing’s Charleston plant in South Carolina. 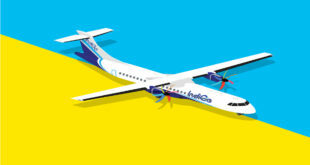 The aircraft is powered by two ultra silent General Electric GEnx-1B engines. 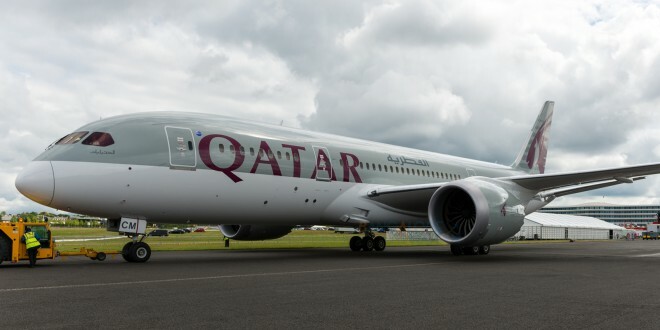 Qatar has configured it’s 787 fleet in a two class layout with 22 seats in business class in a 1-2-1 layout and 232 seats in economy in a 3-3-3 layout. Starting off with the economy section, where Qatar is famous for having one of the best economy services in the world. 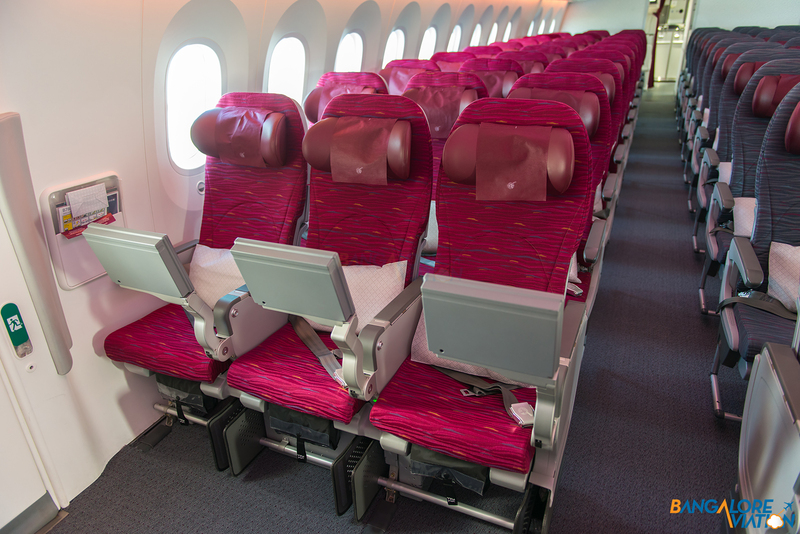 The cabin is configured in a bone crunching 3-3-3 configuration in which each seat is 17 inches wide. (A massive difference from the super comfortable 19 inch seats on Qatar’s 777’s). 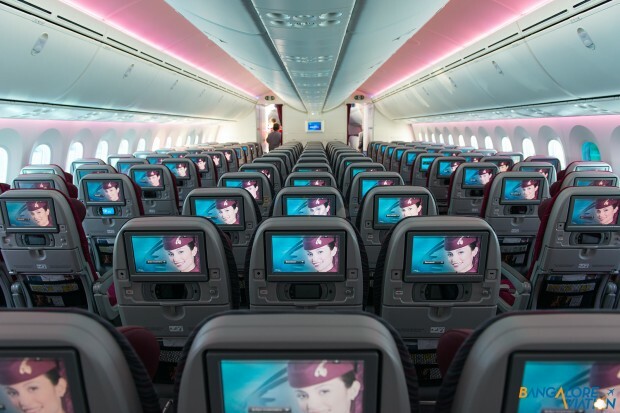 Each seat is equipped with it’s own AVOD screen with features a unique dual screen setup, the remote for the AVOD system is a touch screen which allows you to multitask like play games and view the flight map while watching a movie. 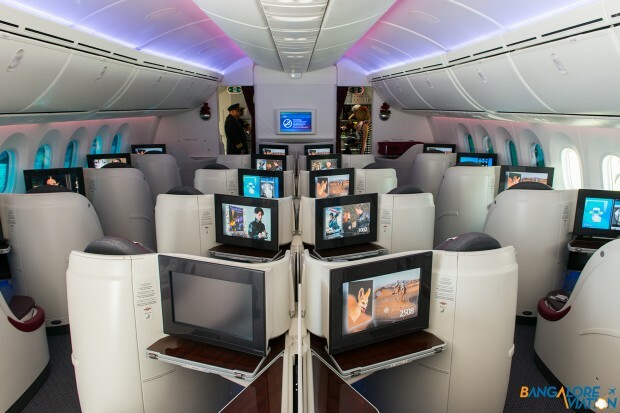 Economy cabin in Qatar’s 787 DreamLiner. 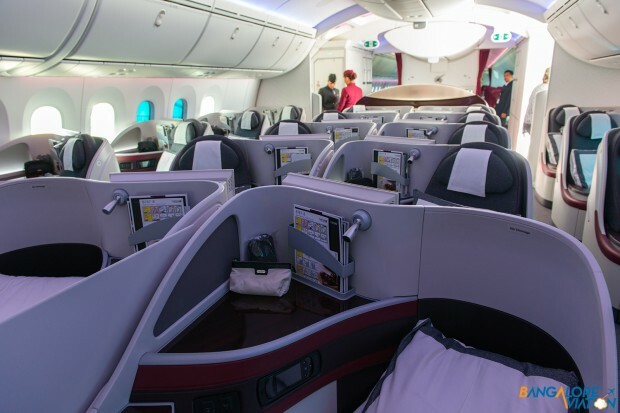 Exit row (Row 26) on Qatar Airways Boeing 787 DreamLiner. Under each screen the touch screen remote can be seen. Economy cabin in Qatar’s 787 DreamLiner. The cabin features a rich red and grey colour scheme, and the LED mood lighting on the DreamLiner gives the cabin a very comforting feel. The rear galley on the DreamLiner is large and thoughtfully laid out. Movement in this area should be very easy as there is a massive amount of open floor space. Moving on to the pointier end of the airplane, the 787 features Qatar’s newest business class product. 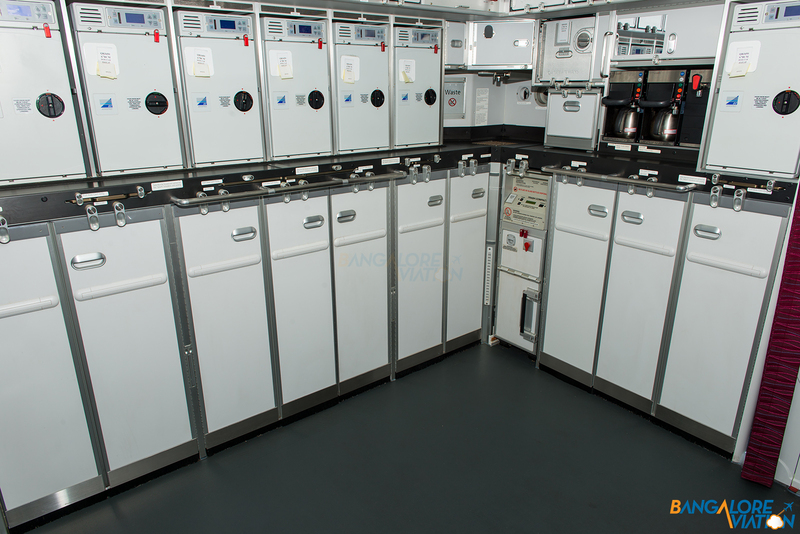 The cabin is laid out in a 1-2-1 diamond pattern with each seat having direct aisle access. 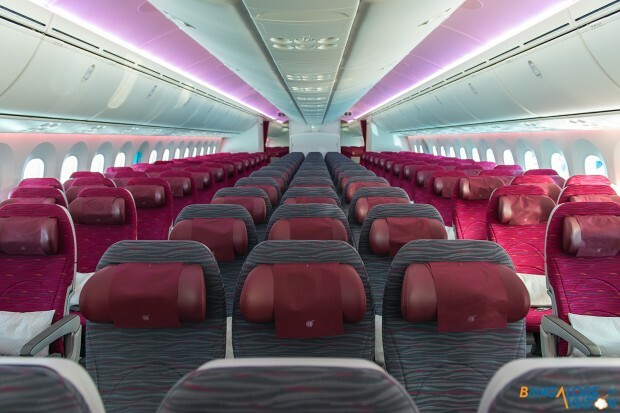 The seats are the widest in Qatar’s fleet at 30 inches (which rivals the famous uber wide seat of Singapore Airlines on their 777-300ERs) and convert into full flat beds. 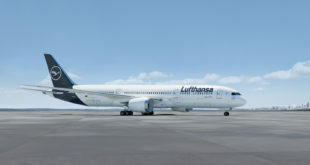 The business class section also has a lounge area where the crew will put out a bar and snacks for passengers inflight. The lounge area is designed to give the passengers an area to interact with one another. Business class cabin on Qatar’s 787.
Business class cabin on Qatar’s 787. 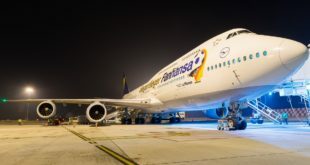 Visible at the back of the cabin is the lounge area which is located in between the second row of doors. The seat itself is very comfortable and well thought out. There are various nooks to store little items. The tables and shelves around the seat all have a wood finish which gives it a very upscale look and feel. No issues for tall passengers in this seat, there was tons of space when the seat was converted into a flat bed. Another thing I really like on the dreamliner is that the window even at it’s darkest setting allows you to look out, which is very nice when the crew dims the cabin to allow passengers to sleep. 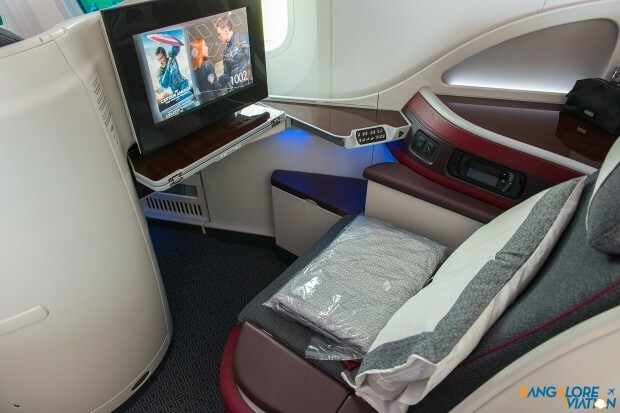 The super wide 30 inch seat on the Qatar’s 787 rivals that of uber wide seat on Singapore Airlines 777-300ERs. 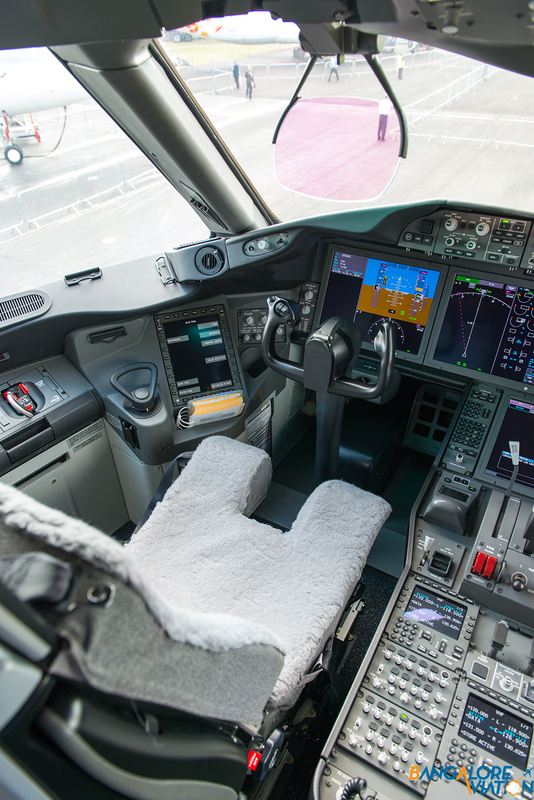 And now right to the front of the aircraft, the cockpit of the 787 is fitted with the latest avionics and uses the traditional yoke found on all other Boeing commercial aircraft. 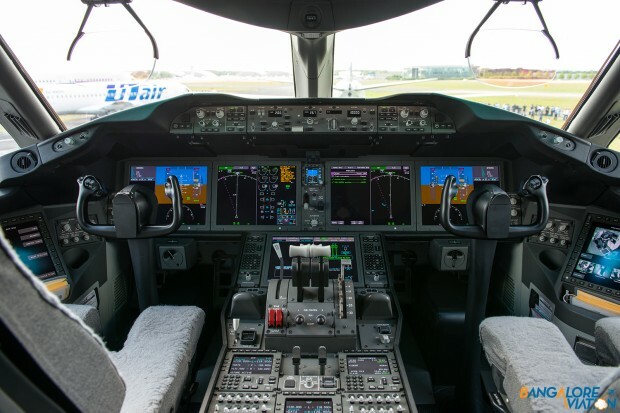 The cockpit of the Boeing 787. The Captains seat in the cockpit of the Boeing 787. 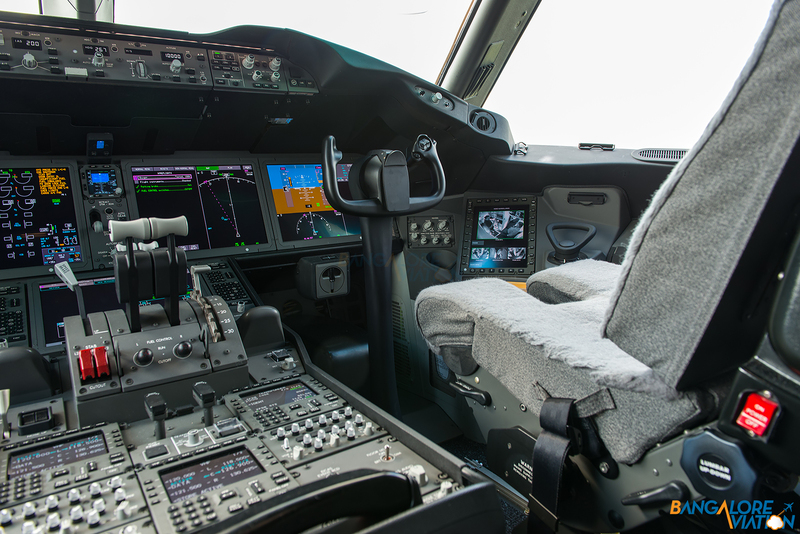 The right seat (Co-pilots) in the cockpit of the Boeing 787. The view through the HUD (Heads up display) on the 787. The 787 comes fitted with a HUD for both pilots. 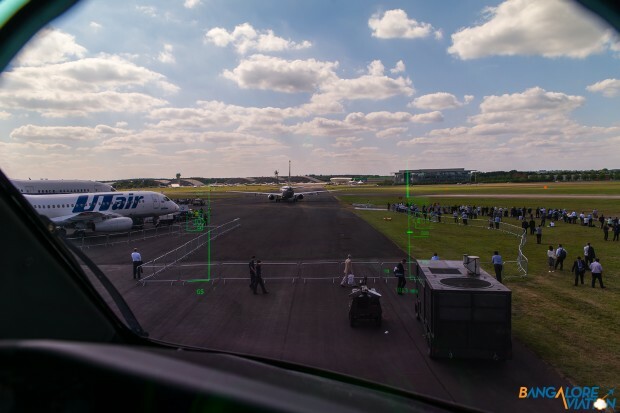 The Boeing P-8A can be seen taxing out for it’s display. What do you think of the cabin product on Qatar’s aircraft? Please share and subscribe using the social buttons bellow for more Through the lens.